The John S. and James L. Knight Masterworks Season of dance, classical music and pops at the Adrienne Arsht Center wows Miami every season by presenting the world’s best orchestras, dance companies, and soloists. Now the dynamic spirit of these creative masters—and the Masterworks series that brings them here—will be captured in art prints created by a recognized artist, with limited editions of the print available for purchase to benefit the Center. The Adrienne Arsht Center was one of 27 South Florida artists and arts organizations to receive a 2010 Knight Arts Challenge Miami grant from the John S. and James L. Knight Foundation this month, the second year in a row one of the Center’s ideas has won this award for artistic innovation. The $90,000 grant will help the Adrienne Arsht Center commission a prominent visual artist to create a work of art inspired by the Masterworks Season. Each season, a new work of art by a different artist will be created, bridging the performing and visual arts worlds and building a series of commemorative prints that will be known as the Knight Masterworks Collection. The Knight Foundation’s grant awards, announced in a ceremony on the Center’s Knight Concert Hall stage on Nov. 29, came as art lovers filled Miami for Art Basel and the Center kicked off its exhibit of the Lincoln Center List Art Collection, a retrospective of more than 30 works of art commissioned over the past 48 years by Lincoln Center for the Performing Arts in New York. 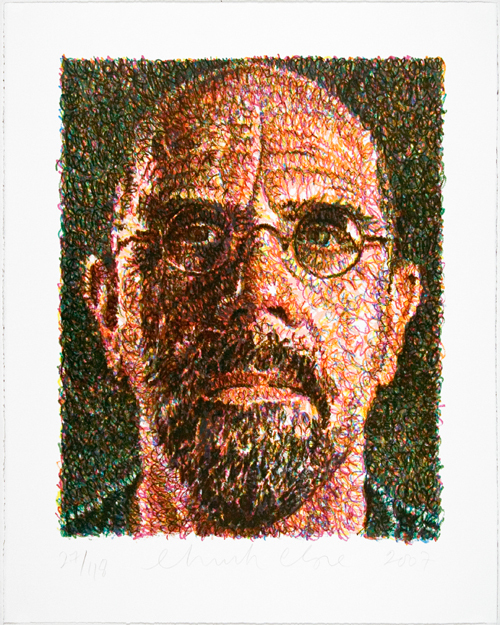 The works of Chuck Close, Jim Dine, Helen Frankenthaler, Robert Rauschenberg and other celebrated artists of our time are now on display throughout the Center’s halls, lobbies and public places, the first time this esteemed collection has been featured outside Lincoln Center. Galvanized by the historic art collection, the Knight Masterworks Collection will reflect the same inventive talent – Miami-style. The matching grant that will help make this possible is the latest gift to the Center from the John S. and James L. Knight Foundation, whose generous support and mission to make the arts accessible to all of South Florida is evident in not only the name of the 2,200-seat Knight Concert Hall and the Knight Masterworks series, but in a significant number of projects that entertain and enlighten Miami’s diverse community, including the Center’s extremely popular Free Gospel Sundays series. Over the next few months, the Adrienne Arsht Center will consult with Thomas Lollar, Lincoln Center’s former director of visual arts, and select the first artist to contribute to the Knight Masterworks Collection. “The Adrienne Arsht Center’s visual art series will reach into the talented ranks of Miami artists and give them a major venue to display their work,” said Dennis Scholl, Knight Foundation’s vice president/arts. A reception was held earlier this month honoring the Performing Arts Center Trust’s Founding Chair Parker Thomson, who retired from the Board of Directors after more than 20 years of service. Former and current Board members gathered and thanked Mr. Thomson for his years of tireless dedication and unwavering perseverance. 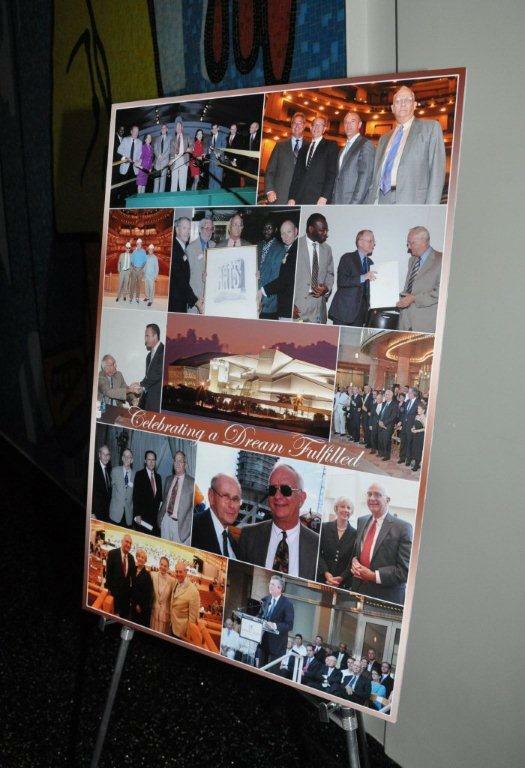 Mr. Thomson was the first Chairman of the Performing Arts Center Trust’s Board of Directors and served faithfully on the Board for over 20 years. Among the accolades bestowed upon Mr. Thomson were a Certificate of Congressional Recognition from Senator Bill Nelson, a congratulatory letter from Governor Charlie Crist and a resolution by the Miami-Dade County Board of Commissioners declaring September 28, 2010 “Parker Thomson Day.” “Due to his leadership, the cultural landscape of Miami-Dade County has been forever transformed,” stated Valerie Riles, the Center’s Vice President of Board and Government Relations. One of our community’s most brilliant lawyers, Mr. Thomson is a Partner at Hogan and Lovells and earlier this year he was named as one of Florida’s Super Lawyers by Law and Politics. This past month, the Adrienne Arsht Center was proud to accept recognition from Haute Living magazine for being one of the top 5 family-friendly venues of Miami. Distinguishing the Center as a welcoming and inspiring institution, Haute Living marks it as a family hotspot and a treasure trove of must-see performances. 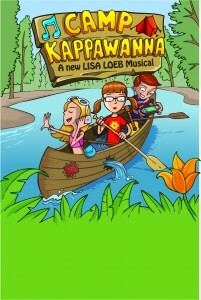 The magazine’s attention was drawn by the positive reaction of the Center’s summer musical for kids: Camp Kappawanna. Just one year ago the Center’s Family Fest series was recognized by South Florida Parenting magazine as the best way to introduce kids to the performing arts. The standard then was set high, and the Center has lived up to its expectations and raised the bar even higher this summer season. 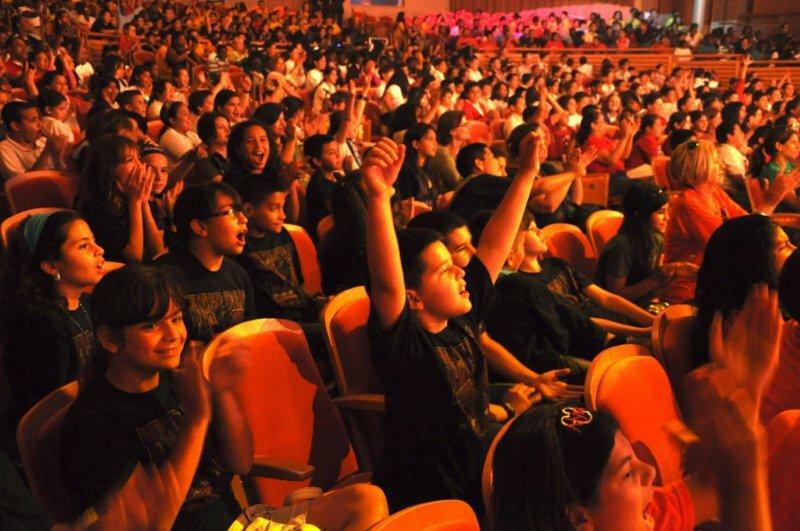 The Center is continually striving to encourage excitement about the arts for young theatergoers. The world premiere of Camp Kappawanna was presented jointly by City Theatre (which commissioned the work) and The Adrienne Arsht Center for the Performing Arts of Miami-Dade County. A celebration of timeless summer camp experiences, it featured hip, cool music and lyrics by Grammy® Award-nominated singer/songwriter Lisa Loeb and a script by rising national playwright and South Florida native Marco Ramirez. The play was just one of many family-oriented performances at the Adrienne Arsht Center, and audiences can look forward to another year of theatrical fun for the whole family! 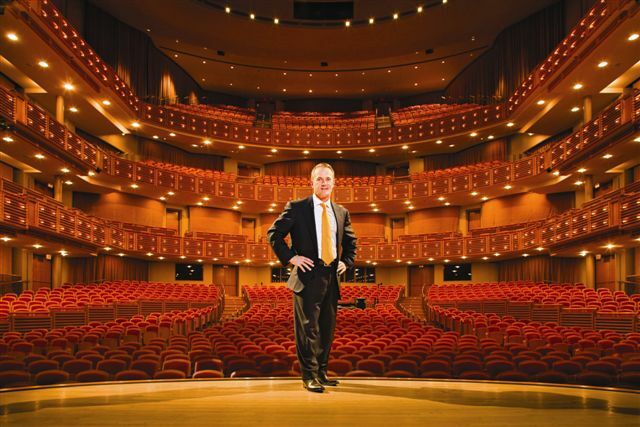 When John Richard arrived at the Adrienne Arsht Center as President and CEO in late 2008, he vowed to raise the organization’s prominence as one of the nation’s foremost presenters of arts education programs. 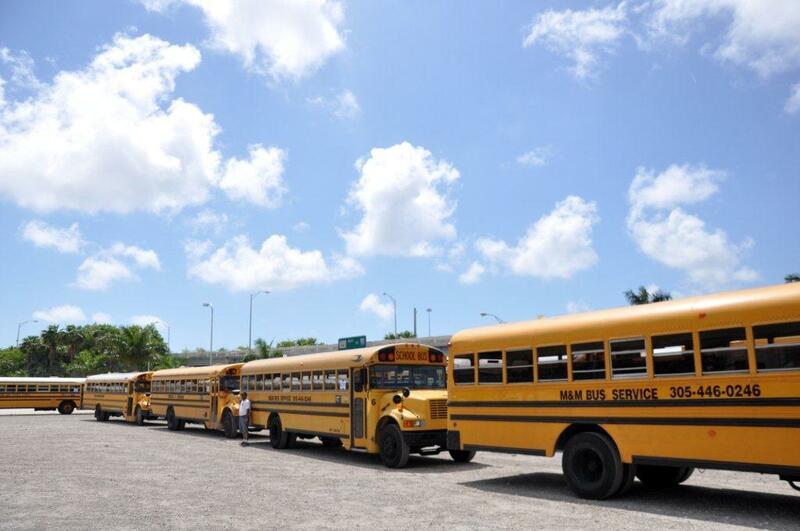 He envisioned a day when the Center’s campus would be surrounded by a sea of yellow school buses. Today, less than two years later, the Center is earning public recognition for its mission-driven commitment to arts education initiatives. Most recently, Miami Today, a leading local business and civic-oriented newspaper, included the Center and Richard in the education category of its annual ‘Best of Miami’ edition. The award stems from a nomination submitted by Miami-Dade Superintendent of Schools, Alberto Carvalho. 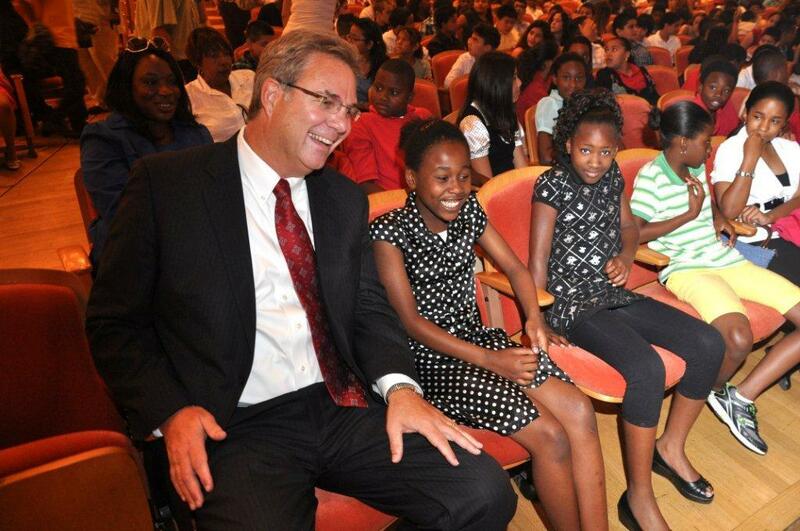 Adrienne Arsht Center President and CEO John Richard with fifth graders at Rock Odyssey performance. The nomination honed in on the Center’s “Learning through the Arts” program, which exposes students to live theater in conjunction with their in-class curricula. As part of this initiative, this past spring more than 26,000 fifth graders were invited to the Center for free performances over two weeks of Rock Odyssey, an original musical production based on Homer’s Odyssey, created especially for elementary school students. A second installment of Rock Odyssey kicks off this fall. As the Adrienne Arsht Center embarks on its fifth year, Richard and his team are redoubling the organization’s focus on arts education – with the goal of further advancing the Center’s mission and enriching the lives of students. In the Miami New Times “Best of Miami 2010” special edition, published June 16, Mad Cat Theatre’s new production of Broadsword, the first collaboration between the acclaimed Miami theater company and the Adrienne Arsht Center, was honored in two categories: Best New Play and Best Ensemble Cast. Two of the Center’s most important goals are to seek out the best shows in the industry to present on its stages as well as to find opportunities to collaborate with local artists and theaters. In Broadsword, the Center found both when Scott Shiller, the Center’s Executive Vice President, saw the first incarnation of the play at Mad Cat’s Light Box theater and was thrilled by the artistic caliber of the show. 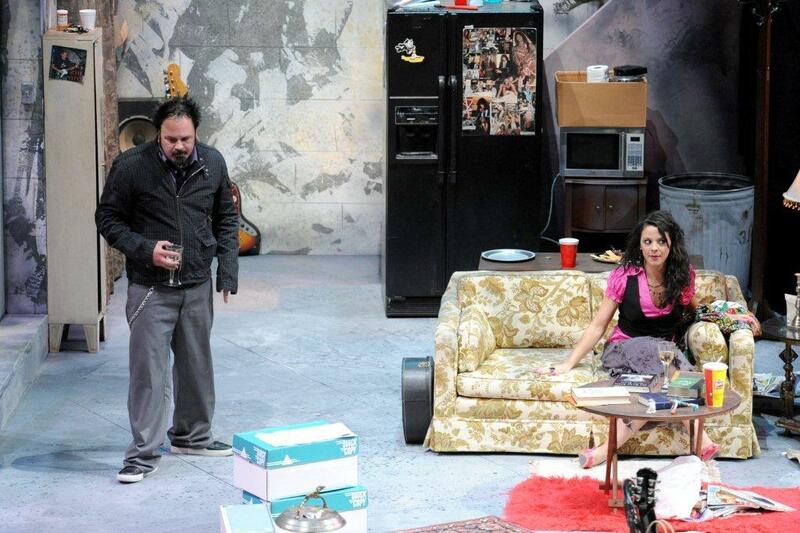 The Center approached the show’s creators—playwright and Miami-native Marco Ramirez (who’s now writing for TV’s “Sons of Anarchy”) and director Paul Tei (currently playing Paul on TV’s “Burn Notice”)—to propose a collaboration on a second production of the play. The Adrienne Arsht Center and Mad Cat Theatre co-presented the new Broadsword April 29 – May 9, 2010, at the Center’s much larger but still intimate Carnival Studio Theater, giving many more appreciative theatergoers a chance to witness Mad Cat’s dazzling brand of theatrical artistry. It turned out to be a winning collaboration for all involved. 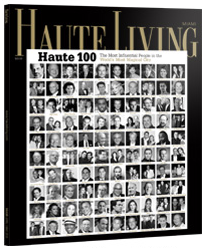 Luxury lifestyle publication Haute Living included four members of the Adrienne Arsht Center family on its annual list of Miami’s most influential people. Congratulations to all. Performing Arts Center Board Chair, Ricky Arriola – Mr. Arriola is CEO of Inktel Direct as well as Chairman of the Performing Arts Center Board of Directors. A well–respected entrepreneur, he is credited with the Center’s recent financial success and getting the Center out of the red and into the black. Adrienne Arsht Center Foundation Board Chair, Adrienne Arsht – For 10 years Ms. Arsht has served as Chairman of the Board of TotalBank of Miami. Under her leadership TotalBank’s assets grew to over $1.4 billion. In 2008 she donated $30 million to Miami’s performing arts center in order to place it on sound financial ground. In recognition of her donation the Center now reflects her name. Performing Arts Center Board Chair Elect, Mike Eidson – One of the most renowned trial lawyers in the nation, Mr. Eidson recently served as the President of the 60,000 –member American Association for Justice. He is the Chairman Emeritus of the Board of Miami City Ballet and will take the reins of the Center’s Performing Arts Center Trust Board of Directors this fall. Adrienne Arsht Center President and CEO, John Richard – In October 2008 Mr. Richard, an arts management veteran with more than 20 years of experience, became the Adrienne Arsht Center’s CEO. Mr. Richard is at the helm of a first-rate management team that is committed to the financial success of the Center while making it world-class as well as community-based. The Adrienne Arsht Center was awarded eleven ADDYs on Thursday evening by the Advertising Federation of Greater Miami, the local affiliate of the American Advertising Federation that represents 50,000 professionals in the advertising industry throughout the country. That makes a grand total of 24 ADDYs in just two years! The ADDY Awards is the industry’s most significant awards competition in the nation and honors companies and individuals whose talents exceed high standards and whose excellent work serves as a benchmark for the industry. The winners in Greater Miami go on to compete at a regional and national level. “Winning eleven ADDY awards is a terrific honor for our marketing department and their partners. The ADDYs provide us with a great opportunity to demonstrate an approach to marketing that matches the creativity and sophistication on our stages. These awards validate our creative team,” stated John Richard, CEO and President of the Adrienne Arsht Center. The winning Adrienne Arsht Center campaigns, selected from more than 600 submissions for local ADDY Awards, included the 2009 campaigns for Flamenco Festival, Fuerza Bruta, The Harder They Come, and others. The judges for this year’s ADDYs were flown in from around the United States representing a wide-range of innovative thinking.